WHAT’S NEW? Creative Reboot in Sante Fe is Coming Up! 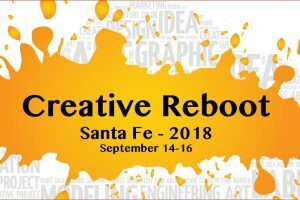 The Creative Reboot in Santa Fe, New Mexico this September 14th–16th, is filling FAST! So if you want to join me there along with Julia Cameron and a host of amazing teachers – NOW is the time to register. This is a highly experiential event designed to help you reconnect with your gifts, passion, and motivation! If you’re a healer, coach, retreat leader or simply on your own healing journey and ready to show up morefully for yourself and confidently stand in your power, then join Meghan Gilroy for a heart-led sacred ceremonies retreat to Teotihuacán & Tolantongo Mexico October 4-9th! 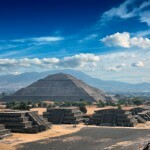 Standing at the end of the Avenue of the Dead, you turn and face the Pyramid of the Moon. Your heart’s desire? Freedom, happiness, inner peace… whatever your soul most craves to feel in your daily life! You know it’s time for a major breakthrough with every cell in your being. But how do you move past all the situations in your life that challenge you? How do you release those subtle (or loud!) limiting thoughts in your mind or old stuck emotions in your heart? And how do you dare to shine your brilliance in today’s crazy world? Have no fear, “Teo” will guide us. Calling on ceremonies that have been passed down for generations, in the locations where many of them originated, we’ll use The Plazas of Hell, Earth, Air, Water and Fire to release the ways we’ve made the (often unconscious) choice to limit ourselves – all while discovering how to be able to create and facilitate sacred ceremony step-by-step for yourself or your clients back at home. Trip Tuition: $3999 USD Single occupancy, $3599 USD Double occupancy with optional extension. Have you been thinking … “Where can I go where all parts of my being come alive… where my mind, spirit, soul and body vibrate with life and color?” “How can I open myself up to an endless world of possibilities?” “Does a place like this exist?” Our answer to you is: YES! and this place is INDIA! 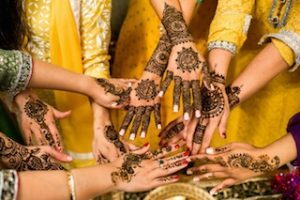 India brings alive the colors of life and blends them together into a fine tapestry of joy never experienced before. Imagine yourself talking with some of the most sought after spiritual gurus. Contemplate the cleansing joy of bathing in the mountainous sacred Ganges river, in one of the most holy of lands. Fantasize about witnessing the edifice of LOVE: the Taj Mahal and realize the true nature of love and beauty. All of this awaits you and so much more on our trek to India! 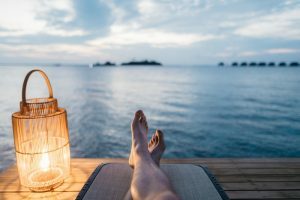 This unique retreat with Terry Hodgkinson possesses the tools and experiences you’ve been looking for to makes the life changes you know you need to make now. India’s soil is rich in energy and practices that will reshape your thinking and completely change your world. In my interactions with people over the years, I have heard many people’s concepts about what a spiritual path is and what they feel they are seeking.The reason I bring this up, is that it is critical that we understand who the entity is that is proposing those thoughts and why. Yes, we all have a deep calling within us to be free – to be living our integrity. But the ego-mind is standing by watching that feeling well up inside us and it feels free to interpret that feeling and describe it as it sees fit – and to make it fit into the concepts and beliefs we already hold in our programmed minds. 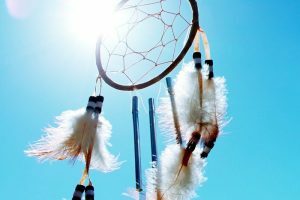 Often I see people being drawn to have all kinds of mystical experiences to avoid addressing the dark aspects of their mind because this is an often painful and unpleasant experience. Yes, it is critical for us to experience ourselves as light perceiving light. By that I mean to be able to perceive without the human machine – to see with your spiritual eyes. To see the “what is” not the world that our human eyes assemble for us. When we have this experience of “enlightenment” we realize that we are not our bodies or our minds, but that we have been gifted with these tools to assist us in functioning in this manifest reality. We are so much more than matter – we are the light and we can “see” as the light. Having this experience can empower you to detach from your thousands of fear-based beliefs and have emotional peace and equanimity. It also allows you to see that there is nothing for the spirit to do on your spiritual path. Your spirit is just perfect the way it is. It is not “damaged” or “sick”. Having this experience allows you to see that the “sick” entity is the human mind, and that is where your attention must go if you desire to be free and at peace.The key then is to address the ego-mind and the lies within it that keep us locked into perceiving the world through the machine, the structure of the mind and its beliefs. Once we are free from this tyranny, we can see with our spiritual eyes at will, we can see that all the things that upset us are not outside of us, but instead are within us – within the construct of our thinking minds. Our spiritual experiences allow us to detach from all the things that we “think”, and instead lead our lives from our hearts. This is a place that is absolutely silent, and it has nothing to do with the incessant internal dialogue that we have in our minds reflecting our personal point of view and thousands of fear-based beliefs. I encourage you all to meditate on what I have put forth today and look deeply into yourself and your programmed mind. Understand that having “spiritual” experiences are important, but in the end it is your confrontation of your mind that will set you free. And most importantly, have faith that your life is perfect, (painful or not) as it is taking you where you need to be to transcend what you believe and set you free.